Pretty Me Up! : PRODUCT RAVE! Addiction NV Liquid Foundation Brush! PRODUCT RAVE! Addiction NV Liquid Foundation Brush! This habit-forming foundation and primer blending brush always creates the appearance of a flawless, velvety complexion. Because it absorbs just the right amount of foundation or primer, your product will last you for months! THIS IS A MUST-HAVE BRUSH! 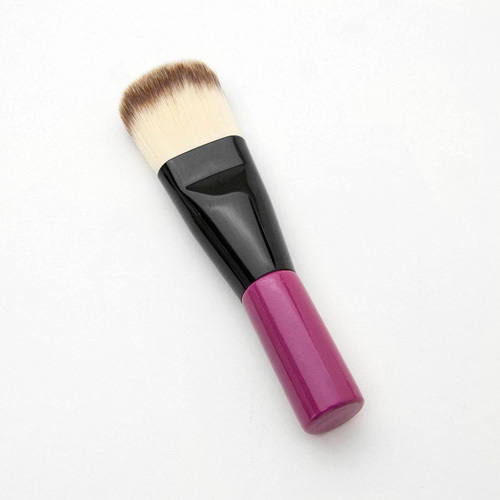 Anyone know of the infamous Coco Beau big, fat, firm foundation brush? It retails for £29.75. This one is even better, in my opinion... it isn't quite as stiff so you get a nice movement and flexibility with the Addiction NV Liquid Foundation Brush. In turn, it makes foundation application easier and fast! Enter code WK10 at checkout!! I promise you will fall in LOVE with this brush!